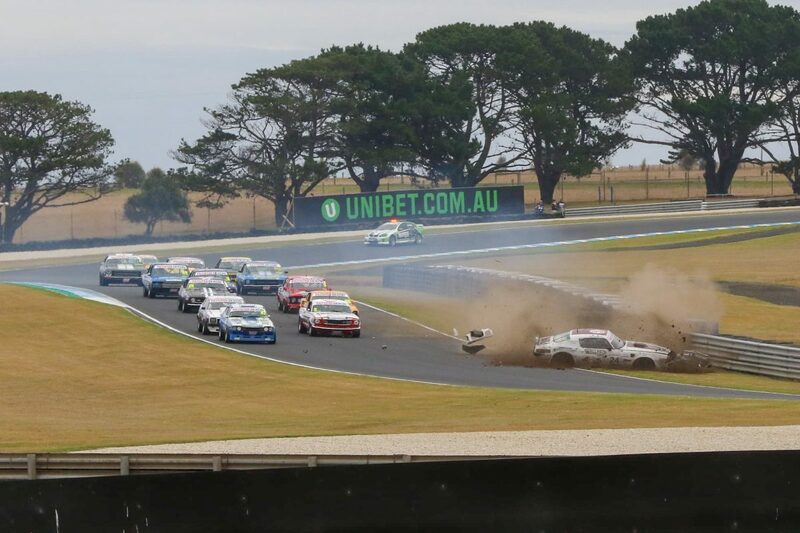 The first Paynter Dixon Touring Car Masters series race was declared a non-result after a major crash on the opening lap brought out the red flag at Phillip Island. Ryal Harris (Chevrolet Camaro) and Robert Hackwood (Pontiac Firebird) ran side by side on the exit of the Southern Loop as the field jostled for position in the opening exchanges. The pair made contact, firing Hackwood into the inside tyre bundles on approach to Stoner Corner, with the car spinning back onto the race track. 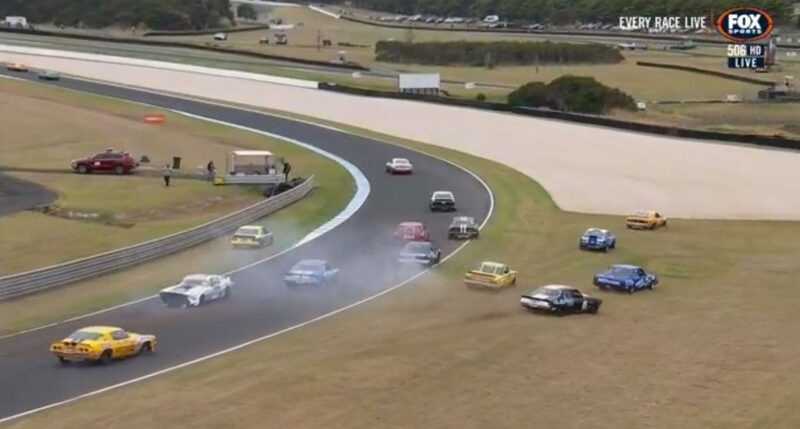 Drivers behind were sent scattering in avoidance of Hackwood’s stricken machine, with Bruce Williams (Holden Torana) running into the back of Paul Fresstone (Chevrolet Camaro) as others took to the grass. Hackwood managed to climb from the wreck under his own steam; the team reporting from pit lane that he was ‘fine’ before being taken to the circuit medical centre for precautionary checks. The incident initially brought out the Safety Car and then a red flag, with race control subsequently calling the race off and deeming it a non-result. Extensive repairs to the tyre wall were required, however, it did not cause a delay to any following sessions. 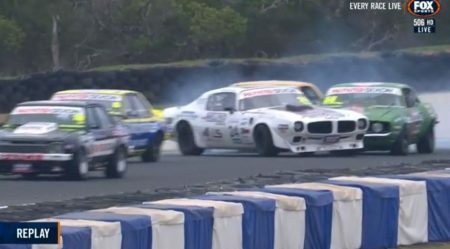 Thomas Randle had captured the lead from pole-sitter Steven Johnson at the start after out-dragging his fellow Mustang driver on the run down to Doohan Corner. Touring Car Masters Race 2 is scheduled for 1410 AEST.